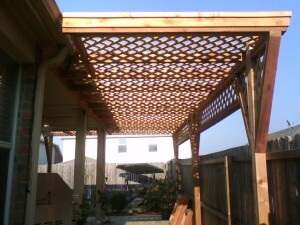 We can build Custom Designed Cedar Framed Arbors w/ Cedar Lattice and decorative trim. 4×4 Cedar posts were used on this Arbor. Along with Cedar Lattice and some decorative cedar trim.